There's nothing quite like that morning coffee to help get your day started. Now, you can skip the cafe queues and bring barista-quality coffee to your home with this De'Longhi Nespresso Lattissima Touch Coffee Machine. With its 19-bar pump pressure, the De'Longhi Nespresso Lattissima Touch Coffee Machine provides the optimal amount of water flow and pressure required depending on the type of beverage you’re looking to create. Energy-efficient, the Nespresso Lattissima has an auto-shut off feature which triggers 9 minutes after the last brewing process. 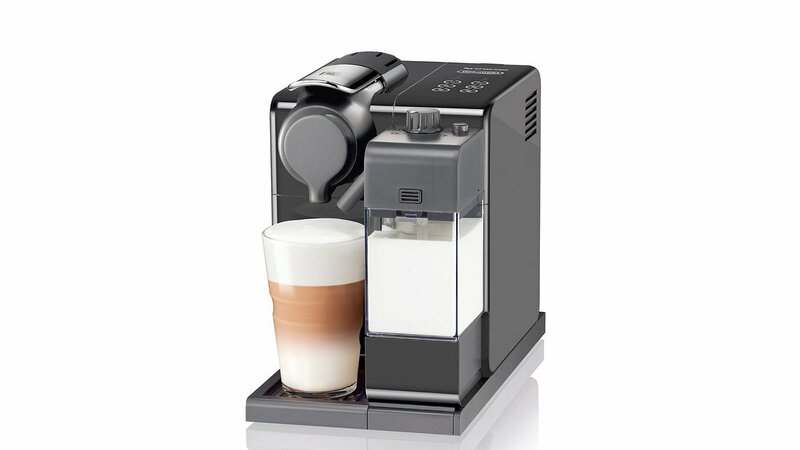 Easy to use, this coffee machine has a One Touch technology and 6 tactile beverage buttons that let you prepare coffees and other milk-based beverages with a touch of a button. The Lattissima Touch Coffee Machine has a sliding drip tray, so you can pour contents into a glass or coffee cup. This De'longhi Coffee Machine has a handy memory function, so you won’t have to tinker with milk and coffee quantities over and over when making your personalised recipes. Entries open at 9.00am AEDT on 1 April, 2019 and close 11.59pm AEST on 5 May, 2019. Australian residents 18 years and over only. Limited to one entry per eligible member. Winner determined on 6 May at 11.00am AEST at Nationwide News Pty Ltd, 2 Holt Street, Surry Hills, NSW 2010. Winner’s name to be published on 13 May on the +Rewards website. Prize valued at $469. There is 1x De'Longhi Nespresso Lattissima Touch Coffee Machine to be won nationally by an eligible +Rewards member from The Daily Telegraph, Herald Sun, The Courier-Mail, The Advertiser, The Mercury, NT News, Geelong Advertiser, Gold Coast Bulletin, Cairns Post, The Weekly Times or Townsville Bulletin. NSW Permit No. LTPM/19/04146. Full terms and conditions apply.